Prominent & Leading Manufacturer from Mumbai, we offer hardened spring steel strips c-80 and tempered spring steel strips c-80. With the assistance of our experienced and well trained, we bring forth Hardened Spring Steel Strips C-80. 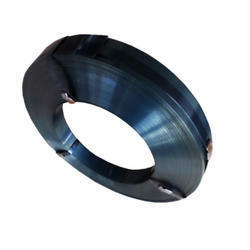 The proffered series can be obtained in different hardness, finishing and size specifications to cater to the varied client needs. Featuring sheared edges, these ruggedly constructed steel strips come in grey, bright polished or blue finishing. Our Clients can avail from us the wide & quality range of Tempered Spring Steel Strips C-80. These strips can be sheared with low burrs to customer’s width requirements. On request and short lead time tailor made Strips can be produced as per customers requirement of hardness, width surface finish & different edges. Please check for Minimum economic batch quantity & lead time. Please see C-98 grade for lower thickness. These strips are widely used for making Coil Springs, Rulers, Saws, masonry tools, Jungle tools,Saw Steel, Steel for Springs, Steel for masonry tools and Spring Steel parts which do not require severe bending or forming. 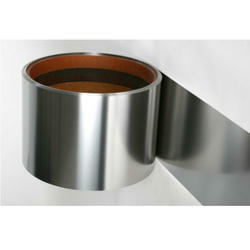 Looking for Hardened and Tempered Spring Steel Strips ?